Penn High School’s Hoosier Spell Bowl team won the Penn Invitational II on Thursday night, October 22 with a perfect score of 90. For the Kingsmen it was their sixth invitational title of the season, four of which resulted in a perfect score. 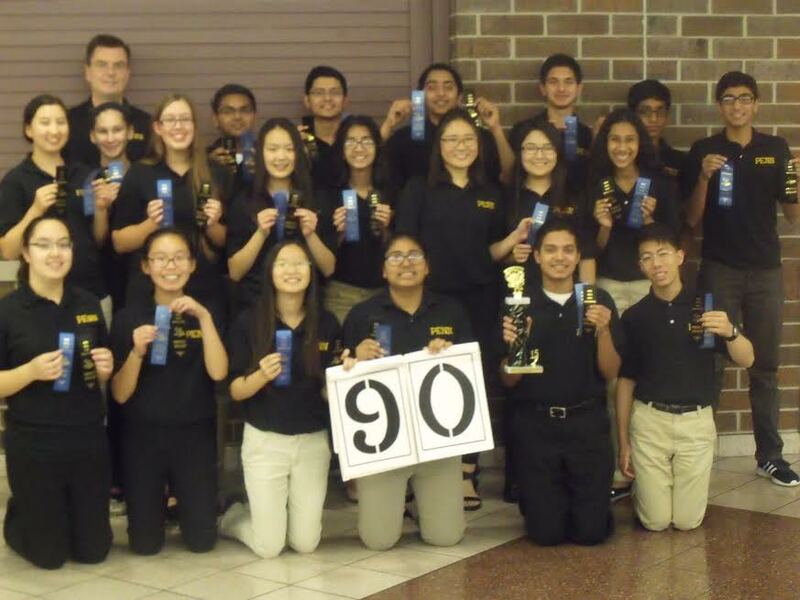 The Penn junior varsity recorded a score of 88. Here are the final standings for the Penn Invitational II. Perfect varssity spellers for the Kingsmen were: Michelle Tapp, Athreya Sundaram, Muqsit Buchh, Kanika Arora, Alice Kwak, Presto George, Maggie Finnessy, Hannah Smith, Faihaan Arif, and Chris Yun. Perfect junior varsity spellers for Penn were: Chelsea Chen, Fezaan Kazi, Priya Chaudhary, Hannah McGinness, Tingyi Lu, Ahsan Siddiqui, Celine Wang and Amy Bernard.